The final test flight is scheduled for 10 a.m. We will need all snow crews to have the take-off zone cleared by 9 a.m. All of the reindeer with the exception of Vixen was exercised today. Vixen will receive her work-out in the morning. If you recall, the last flight test has some issues with tight left turns, these problems have been fixed and adjusted. We plan this test to be successful and should only last for about 20 minutes. If you would like to watch the test flight, we have scheduled a 20 minute shut down of the production line from 10 a.m. until 10:20 a.m. Maintenance does ask that you leave any trash in the receptacles after the flight since they are doubling as wrappers this year and they may not have the time to clean up after everyone. Santa will be dressing in his full suit for this flight, Mrs. Claus made some alterations to the suit and they are testing out the new heating system. Last year, Santa reported problems with the heating system and he lost heat during the last 2 hours of the trip. 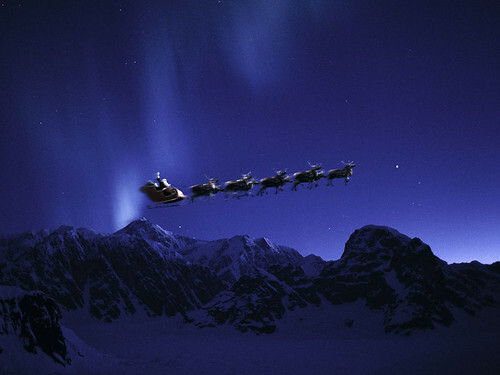 If you are not aware of the final test flight, flight path, Santa will take the team around the interior globe of North Pole City, diving down under Crescent Arch bridge and the ascend outside of the globe and perform directional maneuvers before descending back to the stable area so that the reindeer will be well feed and watered so that they can get their rest before the Christmas Eve run. We ask that all elves, unless those who work the stables, to be quiet will walking past the stables between now until after the delivery run so that they reindeer get sufficient rest. The will be able to take visitors once again after the new year. We will report more later.